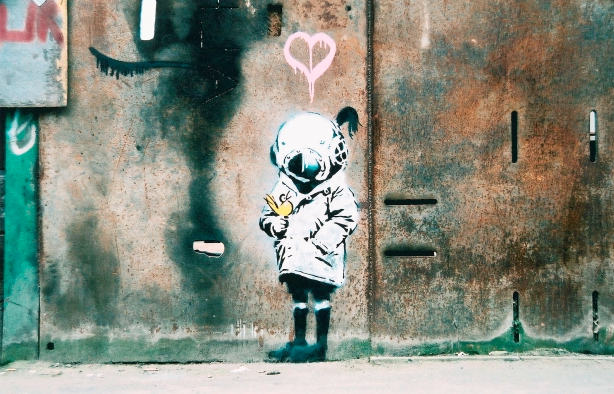 Banksy, the enigmatic street artist, is arguably the most famous in his field. His reputation was cemented by eye-catching stencils speaking out against social ills, especially greed and the trappings of the art market. Yet his personal net worth is estimated to be in the tens of millions, and he belongs to an elite group of living artists whose work have breached the one million dollar mark at auction. What stops Banksy from being a hypocrite is his earnestness. He once told a Guardian reporter that he had no problem with people knocking off his work, since he himself once made a living bootlegging counterfeit concert swag. He also accepts the ironies that might otherwise plague an activist working within the system. For example, even though he makes no money when his works sell on the secondary market, he authenticates them in order to stop secondary market buyers from being defrauded. Banksy moved to London around 2000. Enlisting lookouts, he began placing witty, provocative, and expertly crafted stencils all around the city. Often taking clever jabs at politics, surveillance, war, and absurd legal codes, his works ridiculed contemporary culture with uncommon humour and heart. Many of Banksy's early works were considered graffiti and quickly painted over. 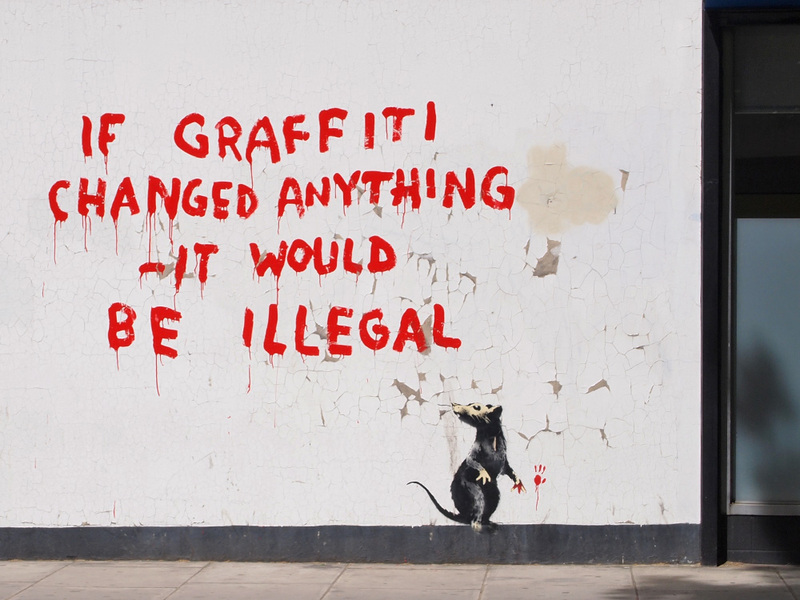 To date, at least 18 Banksy works have been intentionally destroyed, either by the authorities, by Banksy himself, or by a third party. Once in 2001, in an ironic twist, a Banksy work was ruined when it was covered over by a poster advertising a book by Michael Moore aimed at criticizing government policies. Nowadays, most property owners know the value of a Banksy work. More than 1 000 Banksy artworks have sold at auction – an impressive 83% of all that have been offered. Comprising everything from original paintings to sculptures to numbered prints to graffiti pieces on sections of walls carefully removed from the buildings on which they were stenciled, his auction œuvre has amassed more than $48 million in total sales. The best way to buy an original Banksy today is to purchase one at auction. But be prepared to pay a premium. In 2007, Space Girl and Bird, a unique Banksy design intended for an album cover for the band Blur, was estimated to sell at auction for $30 000. It ended up fetching $479 926. 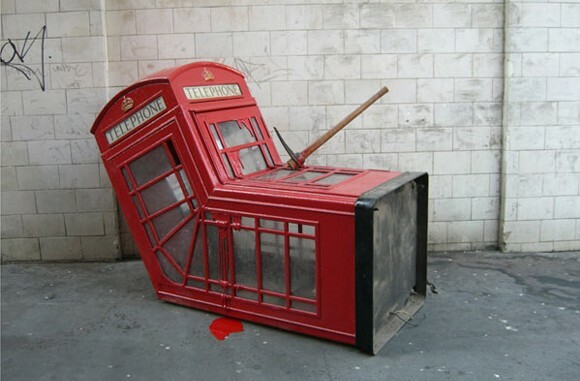 The following year, Banksy’s infamous Vandalized Phone Box sculpture doubled its auction estimate, selling for $550 000. Shortly afterward, his five-canvas painting Simple Intelligence Testing crushed its high estimate of $300 000, selling for $1 093 400. But even those prices pale in comparison to the Banksy record. It was also set in 2008, when Keep it Spotless, a Damien Hirst painting that Banksy defaced with his signature image of a hotel maid sweeping, sold for $1.7 million, nearly five times its high estimate. There is one other way to buy a Banksy, of course, and that is to simply buy one directly from the artist. He has not offered works for sale at an exhibition since 2009. But in October of 2013, during his much-advertised one-month ''residency'' in New York City, Banksy spent an entire day selling his own original paintings in Central Park to passersby for $60. Assuming it was a joke, only seven buyers took him up on the deal. Those $60 paintings are now worth hundreds of thousands of dollars, if not more. The last way to buy an original Banksy is to visit his official sales website: pestcontroloffice.com. A tab on the site says whether anything is available. Usually nothing is, but the website is also important if you do happen to buy a Banksy anywhere else on the secondary market; it is the only place in the world where Banksy works are authenticated – free of charge, of course. 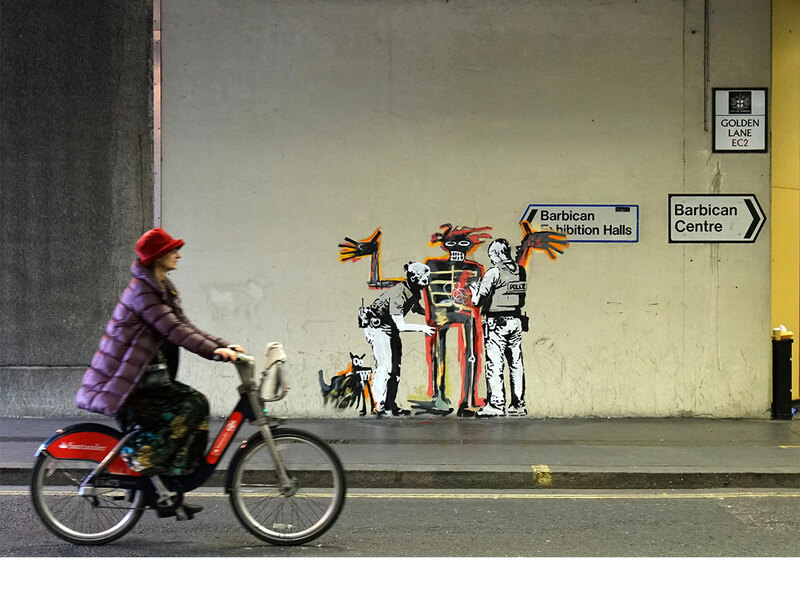 Search more Banksy's on Barnebys here.